Edinburgh: Now Roasting With W..
Last week we announced an exciting two-night series of live “Coffee Sprudgecast On The Road” coffee podcast events in the Bay Area with La Marzocco Home, happening August 16th at Counter Culture Coffee in Emeryville and August 17th at Four Barrel Coffee in San Francisco. Today we’re excited to share out a roster of our podcast guests—folks who exemplify what makes the Bay Area coffee scene one of America’s most progressive and fascinating. We really hope you can join us for the following events! Before each one the gang at LM Home will be hosting espresso basics classes and some chill open house time. Check out the programming from La Marzocco Home by visiting their website. Below you can find our guest list for the live shows, plus more information about each of the appearing speakers. Let’s learn a bit more about our guests. Mokhtar Alkhanshali is the entrepreneurial force behind Mocha Mill, “a company built to place Yemeni coffee back at the forefront of the global coffee trade by empowering coffee farmers.” Alkhanshali’s remarkable story has been featured by National Public Radio and Village Voice, and his coffees are now available from international roasters Blue Bottle Coffee and Coutume Café. Katie Carguilo, Counter Culture’s West Coast Quality Analyst and the 2012 United States Barista Champion. Carguilo’s work as a relatable and accessible coffee professional has seen her featured by The New York Times, The New Yorker, Tamper Tantrum, the Barista Guild of Europe Co:Lab, Slate, and WNYC New York. Most recently Carguilo was a Symposium Fellow at the 2016 ReCo Symposium event in Dublin, Ireland. Richard Sandlin is a human dynamo. 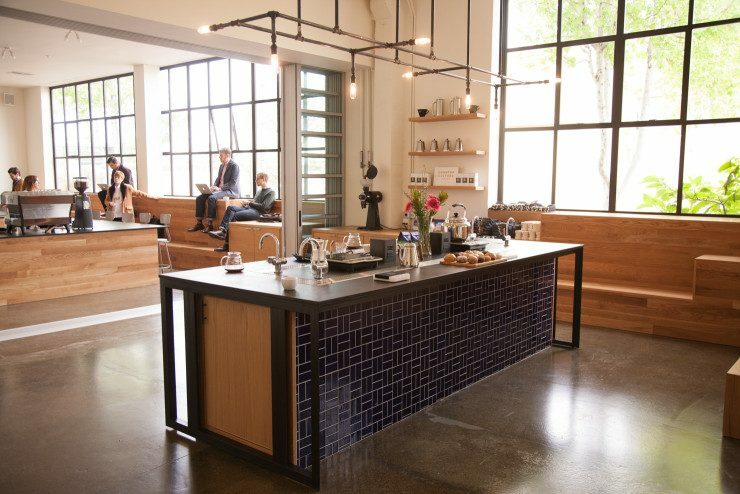 General Manager at The Crown, Royal Coffee’s ambitious new coffee lab and tasting room opening later this year, we’ve known Sandlin for years through his work with Fair Trade USA. We’ll talk with Sandlin about the upcoming opening at The Crown and the ever-changing Bay Area coffee scene. Devorah Freudiger, Equator Coffees head of retail. Freudiger has been a part of Equator during a precipitous season of growth for the brand, including multiple cafe openings around the Bay Area, a selection as a 2016 Good Food Awards finalist for their Finca Sophia project, and a series of awards from the U.S. Small Business Association for Equator co-founders Helen Russell and Brooke McDonnell. There’s even more growth coming for the brand, as Equator has plans to open a second San Francisco cafe in 2016. Sarah Wiener is the director of the Good Food Awards and a co-founder of Seedling Projects, a “Do Tank” for the food movement. She’s worked previously as a director of communications for Slow Food International, and spearheaded the landmark Slow Food Nation event in 2008 as content director. Wiener’s work with the Good Food Awards has been featured by the New York Times Sunday Review, the San Francisco Chronicle, the Heritage Radio Network, and Newsweek, to name just a few. Noah Sanders is the Sprudge Media Network staff writer for the San Francisco Bay Area. Based in the Mission District, Sanders’ writing for Sprudge has taken him from Las Vegas to Ukiah, during which he’s published dozens of articles for the site on topics ranging from cafe openings to oversaturation to braving a line for good coffee. Jenn Chen is an independent coffee marketer, photographer, writer and consultant based in San Francisco. Work across a variety of disciplines has taken Chen around the world, about which you can learn much more by visiting her official website. She’s worked previously with Acaia Coffee, Mr. Espresso, the Coffee Quality Institute, Coffee Kind and more. Trish Rothgeb is among her generation’s most influential coffee professionals, with 30+ years experience in the specialty coffee field. As a roaster, green buyer, and teacher her work has carried her around the world, leading to her role today as the Director of Programs: Q and Educational Services for the Coffee Quality Institute. In addition she is the owner, co-founder, director of coffee and roastmaster at Wrecking Ball Coffee in San Francisco. Rothgeb coined the term “Third Wave Coffee” and writes an occasional advice column for Sprudge. We’ll be presenting a *live* version of that advice column at our event in San Francisco!